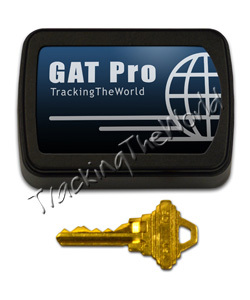 TrackingTheWorld's GAT Pro: GPS Tracking Device With Up To 3 Years Battery Life! Take fixed asset tracking to the next level with TrackingTheWorld's GAT Pro asset tracker. Battery lasts up to 3 years, the GAT Pro delivers sophisticated and affordable GPS tracking in a single, high-quality device. Free USA ground shipping! !